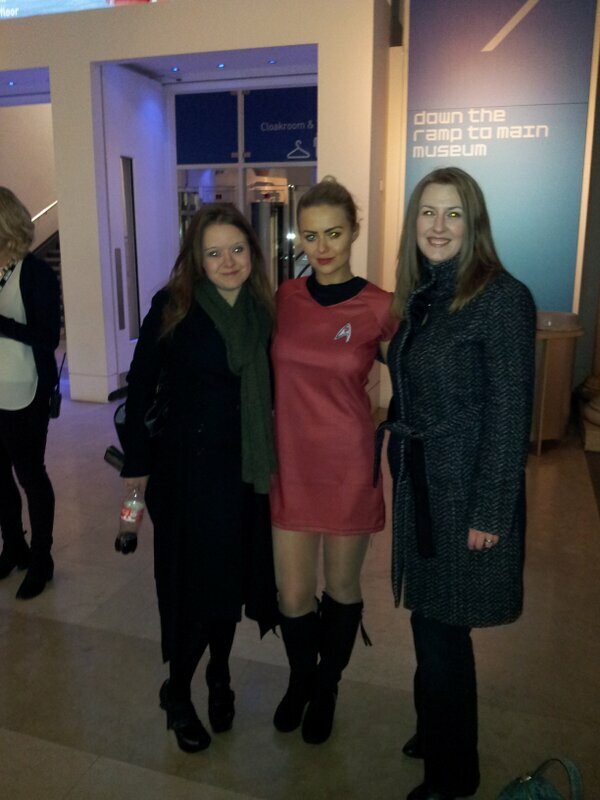 On Tuesday night we were very excited to have been invited to an exclusive presentation and hands-on play with Star Trek: The Video game, due to be released on 23rd April. Mere weeks before the release of Star Trek into Darkness. The room was decked out with plenty of consoles so we could try PC, XBox and PS3. The Star Trek movie theme tune bellowed out all night, you would be forgiven for thinking you were in 10 Forward, out of hours, during the sexiest LAN party ever hosted. Brian Miller, Senior Vice President of Paramount Pictures hosted the presentation and talked through various levels. He is also the game producer and his passion for the game was that of a Starfleet Captain describing his Starship. As Trekkies we were keen to look at this from a fan perspective. We aren’t big third-person-shooter gamers, so we were looking for something deeper with this game and were pleasantly surprised. The expectation with Star Trek games (and I think we are all victims of this) is that they are developed hastily and feel like a another branded product to accompany a new movie or series. This game has been three years in the developing and from talking to those who worked on it, the game was developed by Trekkies for Trekkies. The key message of the evening was that they didn’t want to make just another Star Trek game, they want to make it memorable, great and relevant. We’re not sure if Brian was quoting Soran when he said ‘time is the enemy’ when creating games, but this is one they have had plenty of time to work on. The game story was written by Marianne Krawczyk, Alex Kurtzman and Roberto Orci. The last two having written Star Trek and ST: Into Darkness demonstrates the developers devotion to embedding this game into cannon. As for the gameplay, we got to see various levels which took place on the Enterprise, which looks as beautiful as Samarian Sunset after a long day in engineering. A colony called New Vulcan, we believe this to be a moon around Pluto. The ship exterior – we see Kirk and Spock jump out of a shuttle and pilot themselves into an access port on the hull. Apparently it’s harder then it looks, but looks more fun than that time Spock jet-packed through V’Ger. We saw Easter egg tributes throughout, we spotted the Shuttlecraft Galileo (we just knew something bad was going to happen!). The game also includes all the original cast voices and their dialogue was true to their characters. Brian told us that they let Simon Pegg ad libbed his lines because he is so gosh darn funny. 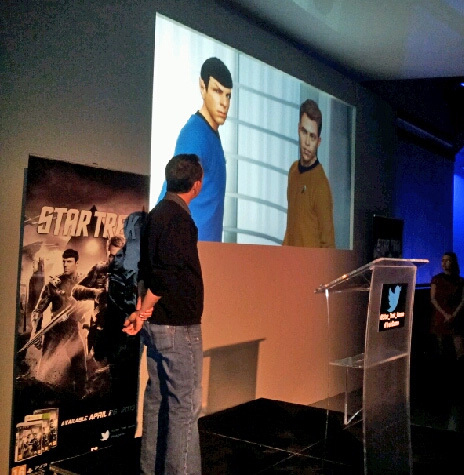 When we played the game, we tried the two player mode and the humour and banter between Spock and Kirk helps you immerse more in the gameplay and the story. We got to see a sneak preview of unseen footage from one of the Gorn scenes. We did have a head scratching moment when we saw the Gorn. We thought momentarily that the big enemy was Gaila’s Dad hunting down Kirk for screwing around at the Academy. We learn a lot more about the Gorn in this game, how their culture and society is arranged. The game is more than just shooting, it includes puzzle work and utilising the combined skills or Kirk and Spock. The Tricorder is your friend – use it. The story about the Gorn and New Vulcan gives the Star Trek universe more depth.